Info Representative from Florida; born Ileana Ros in Havana, Cuba, July 15, 1952; A.A., Miami-Dade Community College, Miami, Fla., 1972; B.A., Florida International University, Miami, Fla., 1975; M.S., Florida International University, Miami, Fla., 1987; founder, Eastern Academy; member of the Florida state house of representatives, 1982-1986; member of the Florida state senate, 1986-1989; elected as a Republican to the One Hundred First Congress by special election to fill the vacancy caused by the death of United States Representative Claude D. Pepper, reelected to the seven succeeding Congresses (August 29, 1989-present). The first Hispanic woman elected to the United States Congress, Ileana Ros-Lehtinen came to the United States with her family fleeing communist aggression when she was seven years old. She earned her Bachelor's and Master's degrees from Florida International University and her Associate in Arts degree from Miami-Dade Community College. She has also been bestowed an honorary Doctor of Pedagogy Degree from Nova Southeastern University. She is presently working on her doctoral dissertation in higher education from the University of Miami. Ros-Lehtinen began her career as an educator and founded a private elementary school in South Florida. Since 1982, Ileana has demonstrated 20 years of legislative leadership. She served four years in the Florida House of Representatives and then became a State Senator. As a state legislator, she introduced and achieved the creation of the Florida Pre-Paid College Tuition Program; since its inception, nearly 700,000 plans have been purchased across the state and it continues to be the largest program of its kind in the U.S. Following the death of Claude Pepper, she won a special Congressional election by beating 10 opponents to represent South Miami Beach, Little Havana, Westchester, Coral Gables, Key Biscayne, parts of Kendall and Homestead, and suburban Miami. Ileana currently serves on the International Relations and Government Reform Committees, and she is the first Hispanic woman to chair a subcommittee. As Chair of the Subcommittee on International Operations and Human Rights, she has become a leading figure shaping foreign policy. Since September 11th, 2001, Ileana and her colleagues in Congress have funded our war to combat terrorism, provided humanitarian assistance for the women and children of Afghanistan, and increased support for Israel. Ileana continues to be a fighter for our U.S. ally, Israel, participating in the Jewish Federation's fund-raising phon-a-thons in Miami, as well as numerous visits to Jerusalem, Tel Aviv, and the Golan Heights during the bombings to demonstrate our steadfast solidarity with this beleaguered nation. The Congresswoman is widely regarded as an international defender of human rights and democracy. She has played a key role in the passage of the Cuban Democracy Act, the Cuban Liberty and Democratic Solidarity Act (the Helms-Burton Law), and has been a leading voice warning the world about the Castro dictatorship's plans to complete a dangerous nuclear power plant on the island of Cuba. Her ongoing efforts to remove the Russian Federation's spy station from Cuba's Lourdes Intelligence Facility have begun to bear fruit, as President Putin has recently announced its withdrawal. 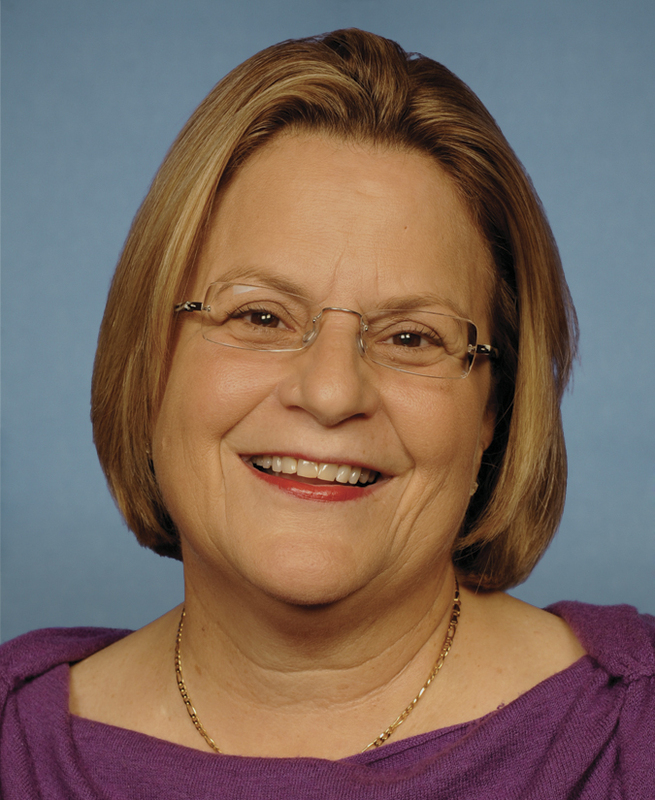 Congresswoman Ros-Lehtinen has also been active on the domestic front primarily on issues concerning education, children, senior citizens, women and their health, victims' rights, the environment, among numerous others. She is the champion spearheading the clean-up and dredging of the Miami River, the conservation of Stiltsville and our national treasure, the Everglades. She led the battle in Congress to pressure President Clinton into signing an executive order requiring federal buildings to exhibit pictures of missing children; she's a member of the Speaker's Task Force for a Drug Free America; she's the architect of the successful Victims' Rights Amendment for Florida and has proposed a Constitutional amendment to protect the rights of those who have been victims of violent crimes nationwide. Ileana has spent most of her adult life committed to enhancing the lives of others: the disabled, the elderly, our veterans, the homeless, and students. She thrives at her job, and it shows! Congresswoman Ros-Lehtinen and her husband, Dexter Lehtinen, the former U.S. Attorney for the Southern District of Florida, met in the Florida House, were State Senators together, and share four children, their daughters, Amanda and Patricia; and his two, Douglas and Katharine, plus four dogs, and one cat.